What a bargain! A Barbara Steele double-feature. 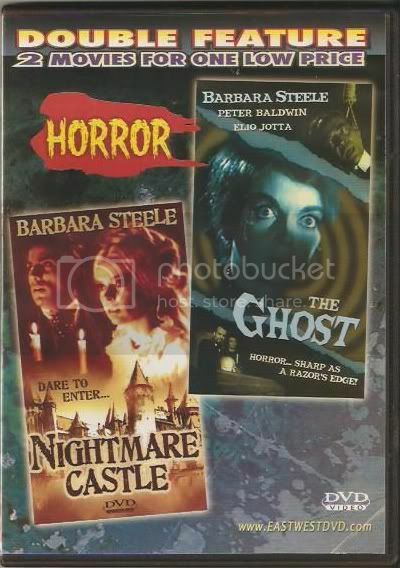 "Nightmare Castle" (1965) and "The Ghost" (1963) are both Italian horrors which tend to crop up on lots of public domain DVD multi-packs. I haven't watched either of these films since I bought this DVD three years ago so I'll be reviewing them soon. 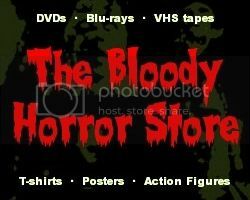 Tonight, I'm watching "American Horror Story" on FX instead.